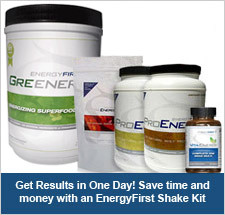 Get Lean and Burn Fat the All-Natural Way with our Mega Health Shake Kit Package! Get Lean, Burn Fat, Boost your Immunity and get all the nutrients your body needs for optimal physical and mental health with our most complete mega package. Greenergy Superfood – your Daily serving of powerful vegetables, nutrients and minerals. Omega Mix Blend – the essential fats your body needs for optimum health. EnergyONE – broad spectrum essential vitamins and nutrients. 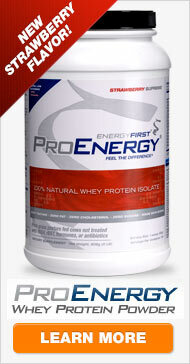 Premium whey isolate protein making the perfect fuel for building lean, strong muscle. Try the	Vanilla & Chocolate. Getting enough green vegetables in your diet? Probably not. Get the nutritional value of 5 servings in ONE scoop. Not all fats are bad! Some are not only good, but essential you can't live without them. EnergyFirst Omega Oil Blend is formulated to provide all of the good fats your body needs. 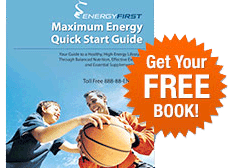 Top off your tank with EnergyFirst EnergyONE Mega multivitamin and mineral supplement.